On the heels of her incredible covers of some of Whitney Houston‘s biggest and most memorable songs in Lifetime‘s biopic, “Whitney,” vocalist Deborah Cox releases a new song entitled “Kinda Miss You!” Click the link for more details! 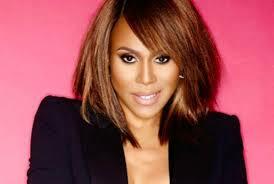 Singer Deborah Cox was given the task of performing all of the hit songs used in Lifetime‘s biopic “Whitney” and she effortlessly did so, reminding many of us of Cox’s talent and introducing it to others. On the heels of that success, Cox has now dropped a new original song, “Kinda Miss You.” The song is a nice blend of danceable R&B soulfulness, Cox’s clear and crisp soprano, and a catchy hook. Listen to it here, share your thoughts on it in the comments, and pick it up on iTunes! Aaliyah’s Family is Upset about Lifetime’s Biopic! Aaliyah Biopic To Discuss Relationship With R. Kelly! Aaliyah Family & Fans Fight to End Lifetime’s Unauthorized Biopic! Deborah still has it, if you want than same look.